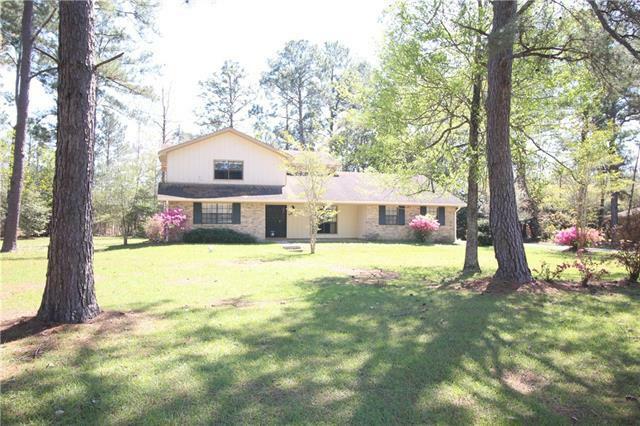 HUGE HOME IN BEAUTIFUL AREA OF SLIDELL SITTING ON AN ACRE OF LAND. BOASTING 4 LARGE BEDROOMS AND 3 FULL BATHS. THERE IS A MASTER UP AND A MASTER DOWN. HUGE DEN WITH BEAUTIFUL BRICK FIREPLACE AND LOTS OF NATURAL LIGHT. THE KITCHEN IS OPEN AND OVERLOOKS THE BREAKFAST AREA AND THE MASSIVE REAR YARD. DON'T LET THIS GREAT HOME PASS YOU BY.